Did your relationship status on Facebook recently change to “engaged”, the type of post that’s been populating Facebook news feeds the past couple months? According to Facebook, the most popular days for changing relationship statuses to “engaged” are Christmas Eve, Christmas Day, New Year’s Day and Valentine’s Day. So you’re engaged, congratulations! But, now what? If you haven’t been pre-planning or already have a Pinterest board for your dream wedding, that’s okay – don’t feel overwhelmed. Although all your friends, family and new acquaintances will be asking about the plans and details of your wedding (the ones you haven’t made yet), don’t hesitate to tell them you’re currently just enjoying this special time in your relationship. When you’re ready, start the planning, but be sure to remember that despite the fact that thinking so far ahead may seem stressful at times, smart planning will help prevent snafus on the big day. 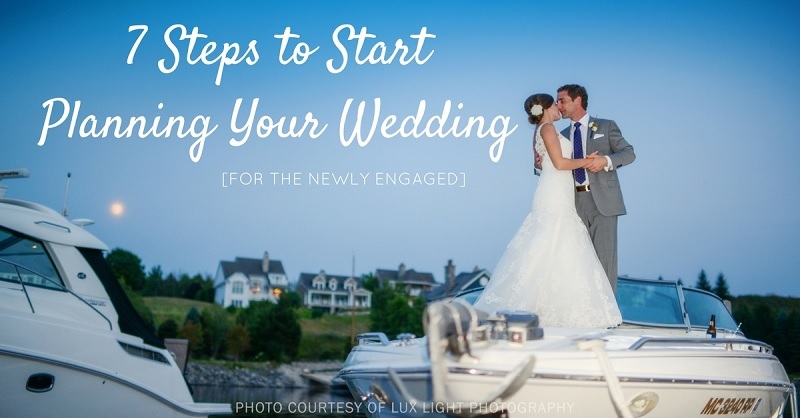 Here are 7 ways to get your planning going and keep you on track for an amazing big day. This one sounds easier than it is. If you’re a hand writer, there are countless planning books that will allow you to fill in the spaces, check off items on your lists and collect your ideas; check out The Knot Ultimate Wedding Planner & Organizer. If you’re more of a techie, there are many apps that will guide you along the way and set you up for success like WeddingHappy and Evernote. Having a look book in your planning folder will help keep you inspired to stay on track with your wedding vision too. This should start with a conservation between you and your partner, and if anyone else will be contributing to the budget they should be involved too. The budget you set will be an underlying guide for many tough decisions along the way of your wedding planning. To help you stick to your budget, put your wedding money in its own savings account so you can better monitor what you’re spending. Choose your ideal date, and then a second and third option just in case. If you have a specific venue in mind, this may dictate your date and if you have no clue about what venue you’d like, choosing your date first will help quickly narrow down the options. Be sure to check out “Wedding Dates to Avoid in 2017, 2018 and 2019” by The Knot. Whether your wedding-day dreams look barefoot, button-down or something in between, Bay Harbor offers the perfect location for you to say “I Do”. 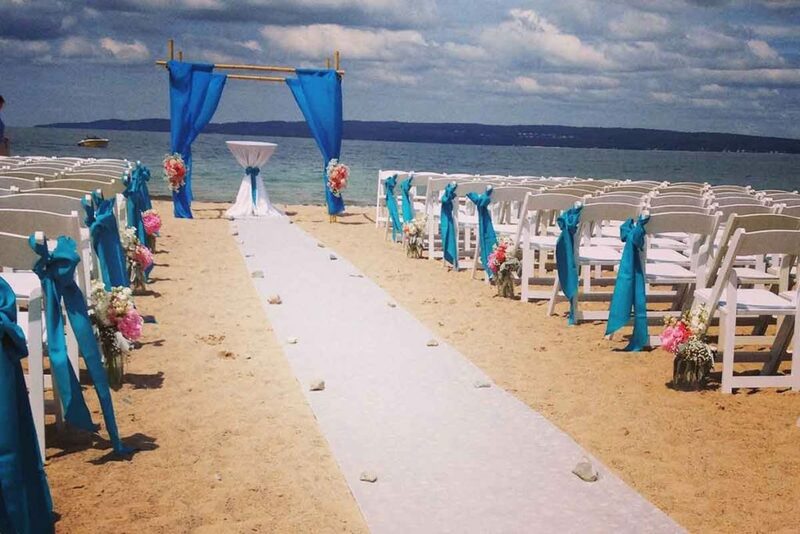 As one of the only locations in northern Michigan with a private beach venue, Bay Harbor offers beautiful ceremony and reception locations nestled along a 5-mile Lake Michigan shoreline. The perfect place to start your forever! Once you know the date of your big day, you can fill in other important dates on your timeline like shower and engagement party dates, invitation mailing dates and photoshoot dates. Determine what aspects are important to you and your partner. What are priorities for your wedding experience? What people and things must be a part of the wedding? Knowing your priorities will help you decide where you want to spend time and money when planning. There are many programs that can help you break down your checklist into a month-by-month planning list. If you’re having trouble making a to-do list based on your priorities, you may find a sense of ease in hiring a wedding planner. 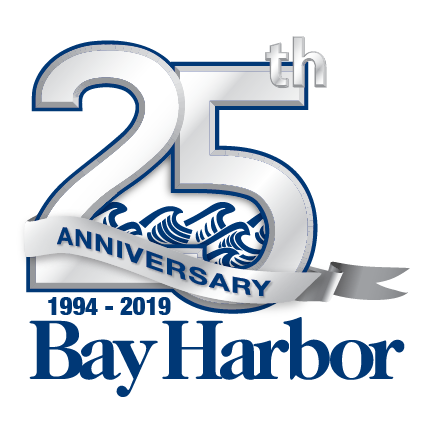 Bay Harbor Village Hotel offers a credible list of preferred vendors and the Wedding Coordinator can point you in the right direction for finding a wedding planner that suits your needs. For some this may be a couple hours each day and for others this may be a couple hours a week. Regardless, it’s important to chip away at your lists over time so you don’t get overwhelmed at the last minute. Be sure to sit down together for some of your planning time. Together you can divide and conquer tasks, make important decisions and ensure you’re both on the same page eliminating confusion. Visit one of the restaurants or coffee shops in Bay Harbor and take some time to plan while you’re in the environment your big day will be. Make your first attempt at a guest list. Yes, we said a first attempt. This list will change multiple times to fit your venue, your budget, and your priorities. While you’re taking a shot at your first guest list, make your first bridal party list too. Keep in mind, 80% of wedding costs are impacted by the number of guests (cha-ching with each name on the list). Both you and your partner are going to want things the other doesn’t care for, but being flexible is a must. This is a special day for you AND your partner, so when you cannot agree on one cake flavor, find a compromise, maybe pies or a cookie cake! Most importantly, enjoy the ride. Engagement should be blissful and your wedding day should be a reflection of you, your partner and the relationship you have. Find inspiration in magazines, newsletters, blogs and social media. There are endless ideas and tools at your service.